Lee Trevino, Legendary Pro Golfer. Motivational Speaker. 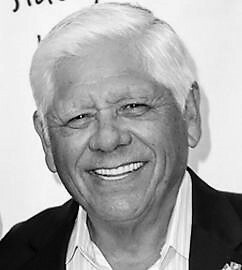 After four years in the Marine Corps, Lee Trevino became a professional golfer in 1960. He spent his early pro years as an assistant at country clubs, where he garnished his paychecks by hustling other players who were deceived by his unorthodox swing, which he taught himself as a child. After finishing in fifth place as a qualifier at the 1967 U.S. Open, Trevino spent the rest of the year on the PGA Tour and was named its top rookie. In 1968, he again surged up the leaderboard at the U.S. Open, this time pulling away for a record-tying score of 275 and his first major championship. Known for his rapid-fire wit, Trevino was dubbed “Merry Mex” and “Super Mex” by his fans. He infused some color into a notoriously buttoned-up sport, such as when he threw a rubber snake at Jack Nicklaus before their 18-hole playoff at the 1971 U.S. Open. However, there was plenty of substance to his game; Trevino won that playoff, and within weeks he had also claimed the Canadian Open and the British Open to become the first golfer to win all three tournaments in the same year. Trevino added a second British Open title in 1972, and in 1974 he won his first PGA Championship. Struck by lightning during the 1975 Western Open, he seemingly emerged unscathed and continued playing, although he eventually underwent surgery for back pain. Nevertheless, he continued his streak of at least one PGA Tour victory per year, which began with his 1968 U.S. Open win, until 1981. That year, he was elected to the World Golf Hall of Fame. Trevino scored one last triumph at the 1984 PGA Championship, where he became the first golfer to break 70 in all four rounds at the tournament. It was his sixth major championship, and the final one of his 29 PGA titles. His career ledger also included an impressive 17-7-6 record in Ryder Cup play, as well as five Vardon Trophies for the lowest average score over the course of a season. Trevino enjoyed more success after joining the Senior PGA Tour (now the Champions Tour) in 1989, twice claiming the Senior PGA Championship among his 29 wins on the circuit.